Maintaining eyesight is one of the most important things for a healthy and happy lifestyle. Eyesight often tends to deteriorate as people age, mainly due to diseases and issues such as glaucoma, cataracts, and macular degeneration. Because of this, it is important to protect your eyes, even at a young age. Here are a few food choices and actions that will help your eyes stay healthier and work better over time. There are many foods that help to keep your eyes functioning at peak efficiency. Fish, such as tuna and salmon, is packed full of omega-3s, which help to prevent macular degeneration and cataracts, as well as prevent your eyes from drying out. Eating a colorful diet filled with fruits, vegetables, and plenty of leafy foods is also important to keeping your eyesight at its best. Greens, such as kale and spinach, help reduce the risk of eye disease, and whole grain products, including quinoa, oats, and pastas, contribute vitamin E, leading to healthier overall eyes. Fruits and berries are also beneficial because they provide antioxidants and other vitamins. Daily activities, including work, certain hobbies, and even just being out in the sun, can be very harmful to the eyes. The glare from the sun is damaging, so it is important to always throw on a pair of sunglasses to keep safe from the sun’s rays. It is also important to always wear goggles if you work in a place where sawdust, drywall, or other particles are often floating in the air. These particles can scratch the surface of your eyes, causing discomfort, as well as other issues in the future. It is important for everyone, young and old, to make visits to get an eye exam. 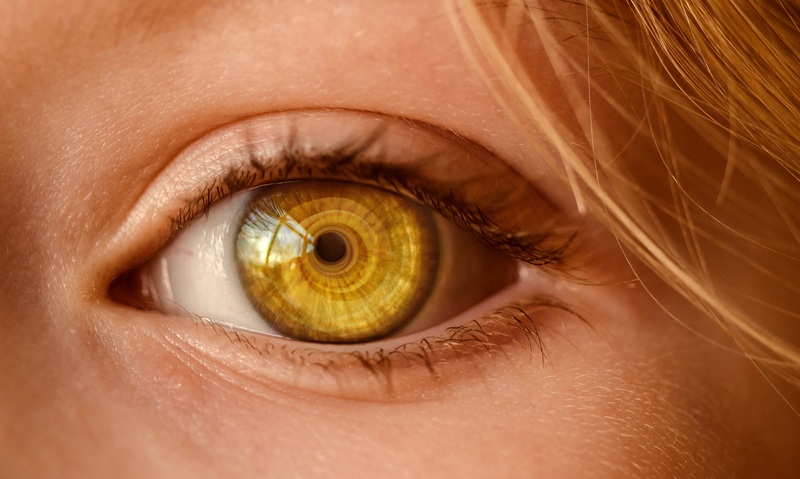 Professionals, like those at Discover Vision Centers, know that these exams help you stay on top of any eye-related issues, including glaucoma, which does not present any physical symptoms. These exams also test for nearsightedness, farsightedness, and astigmatism, ensuring that you get any necessary prescriptions and optimize your vision. Smartphones and laptops are very popular in this day in age, and staring at a screen for hours on end, while straining to focus and read small text is taxing on the eyes. It is important to take routine breaks from your devices, especially if you are sitting behind a desk at work each day. Smoking is a large contributor to macular degeneration and cataracts, which can lead to nerve damage and blindness in the future, and is harmful to the rest of the body in many other ways as well. Having healthy eyes should not be taken for granted, as they are a huge part of life each and every day. These few, simple habits can go a long way in helping protect your eyes and preventing major issues in the future.